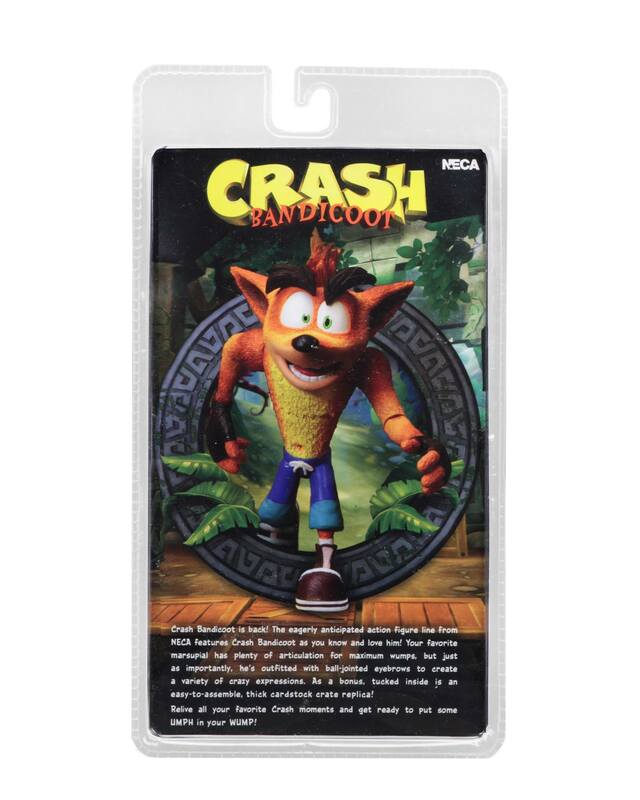 The final packaging has been revealed for the soon to be released Crash Bandicoot 7″ Scale Figure by NECA Toys. The figure is currently shipping from China, and should be available very soon. The 5.5″ tall figure will eventually be joined by a few variants, with additional figures to follow after those. Read on to see the new photos. Oh hell yeah! Crash Bandicoot was one of my favorites when I was little, even had a plushie toy at one time. NECA getting the license means affordable yet collector-friendly figures, so I really hope we get a good selection of characters, I need Crash, Coco, Neo Cortex and N. Gin at least. The boss mutants might be right up NECA's alley considering how much they like TMNT, so getting guys like Tiny Tiger or Dingodile could be fun too. Of course they did, becuase why not? I love Crash. It was one of the first Playstation games I ever owned, but unlike Mario or Sonic, I never thought, "Damn, I need toys from this series!" Anyway, I do hope they do good things with the accessories. I'm all in on these! I still beat myself up over missing the Resaurus stuff. ohh hell yeah, the resaurus stuff is super pricey on ebay but i was still gonna buy it. but if this is coming out might as well save money, this is a automatic purchase from me neca! TAKE MY MONEY! The Resaurus stuff was really good. 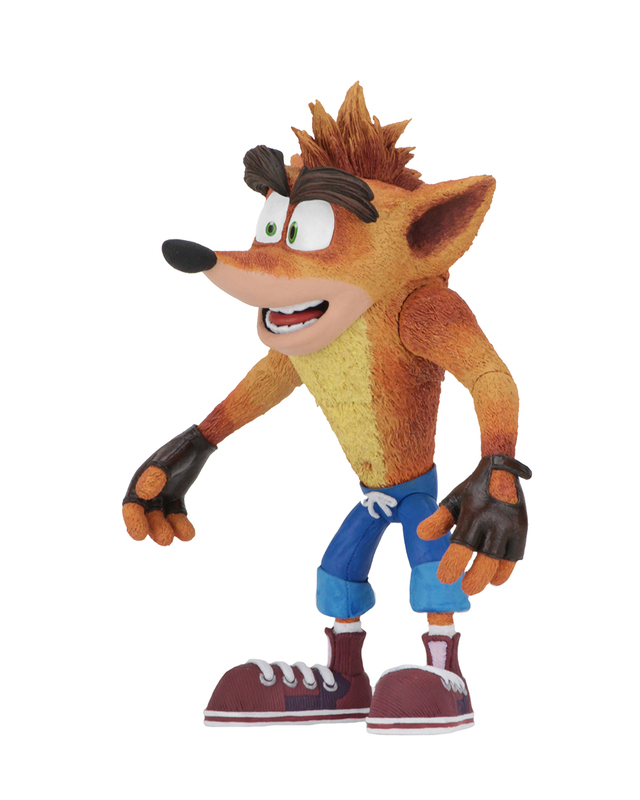 I had most of the figures as a kid and we haven't gotten decent(If any) figures of Crash since. This is great news. I'd love to see them take on lines like Earthworm Jim too. They even said they wanted to make Nintendo products sometime ago but Nintendont want them too. Funk making Disney Afternoon toys and now this? LORDY!! Where do I sign up? I actually wonder how they'll handle the scale. 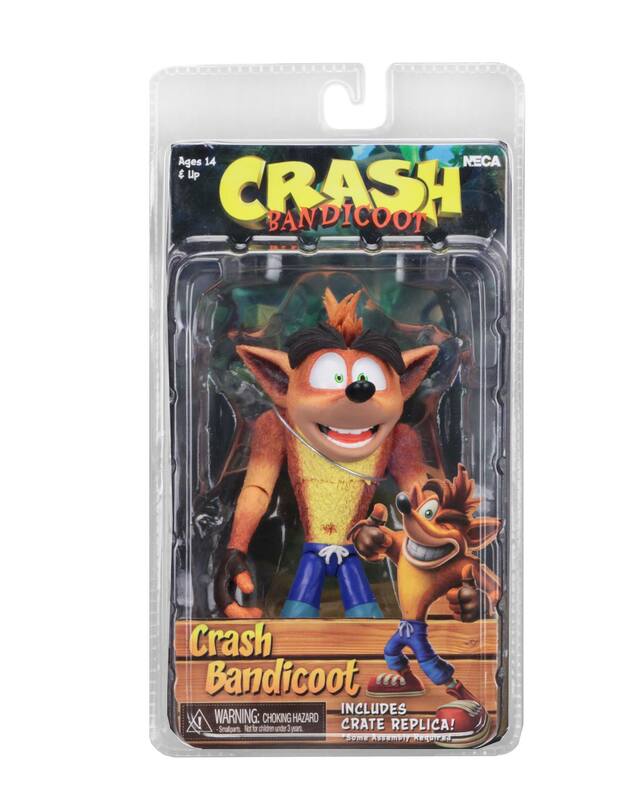 A 6-inch Crash Bandicoot figure would be a bit weird since the character is rather short. I'd prefer it if the bigger guys like Tiny Tiger or Koala Kong are 6-inch and the others are made to scale with them. First look at an early prototype from the NECA Twitter, featuring articulated eyebrows! My girlfriend's gonna go ga-ga over this. She loves Crash. Loved this game. 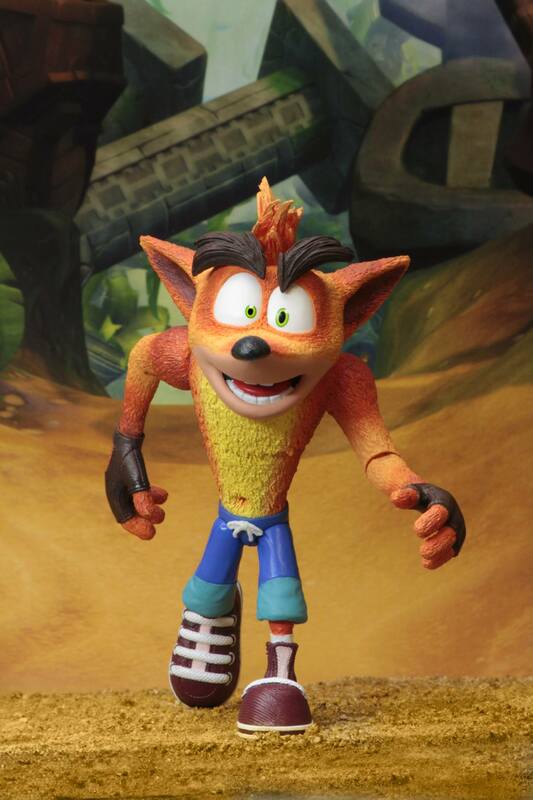 Kinda surprised Crash isn't being released with Aku Aku. Maybe they are saving him to release with Coco. Looks really nice! I can't wait to see what other figures outside of Crash NECA may do. 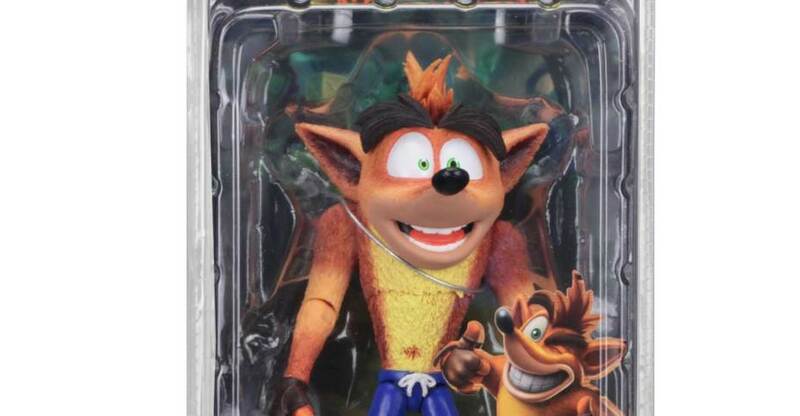 I also have the feeling that after enough versions of Crash are released that NECA is just going to pull an "ultimate" on us and re-release him with all of the varying headsculpts/ accessories plus a new cardstock accessory. Yes! Looks awesome. I'm not a huge fan of this particular facesculpt (and the fact that they openly admit they will release dozens of versions of this guy, all with different ones) but I'm still very excited for this. Especially that they plan to make this a line. They could stop after Coco and Cortex mind you, but if they could get to some of the boss mutants, that would be epic. Also, yeah, the accessory count isn't the greatest. But I assume they save those to sell the other characters better as many people might plan to only buy Crash himself. what do u mean? where did they say that? This core figure stands 5.5 inches tall and features a head sculpt unique to this release. Which translates to: "We have lots of others which we will use on different Crash figures". Could be exclusives they sell elsewhere, different iterations like Crash with the jetpack, biker gear etc. or just later releases with new accessories. Awesome, now please give us a Jak and Daxter too! From the first game hopefully. I'll definitely grab this release and another if they do a more classic looking head. An Aku Aku will be a must sooner than later for me. I'd love to see them take on lines like Earthworm Jim too. They even said they wanted to make Nintendo products sometime ago but Nintendont want them too. This is great news. I'd love to see them take on lines like Earthworm Jim too. They even said they wanted to make Nintendo products sometime ago but Nintendont want them too.